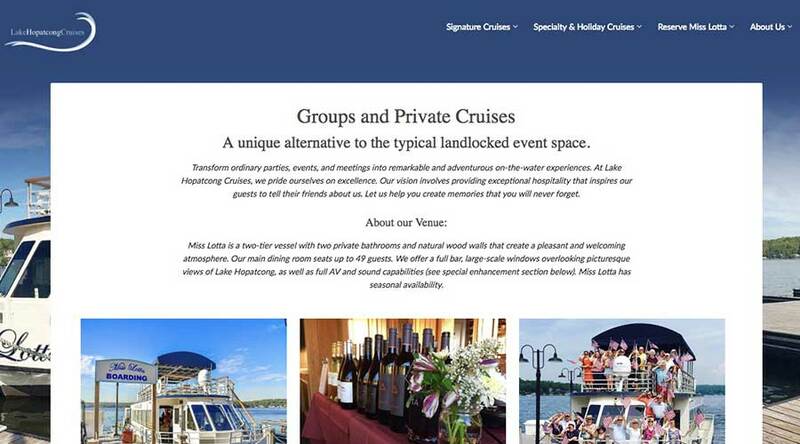 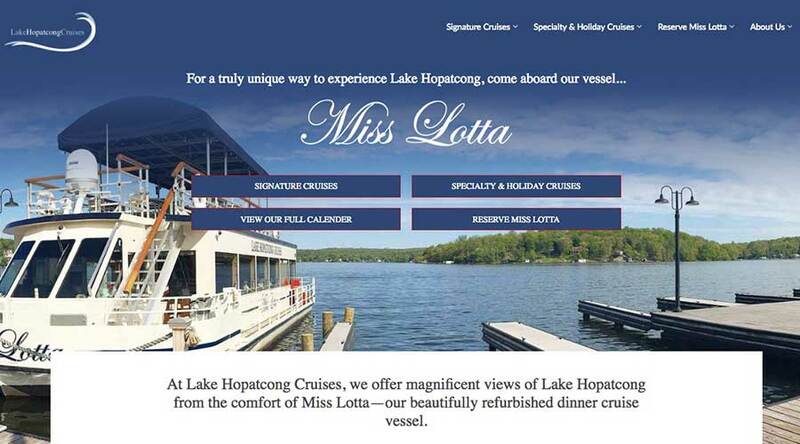 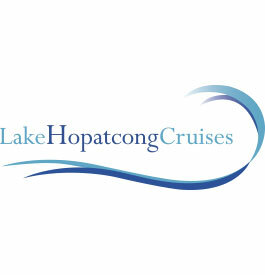 We began working with Lake Hopatcong Cruises as the company prepared to launch back in 2014. 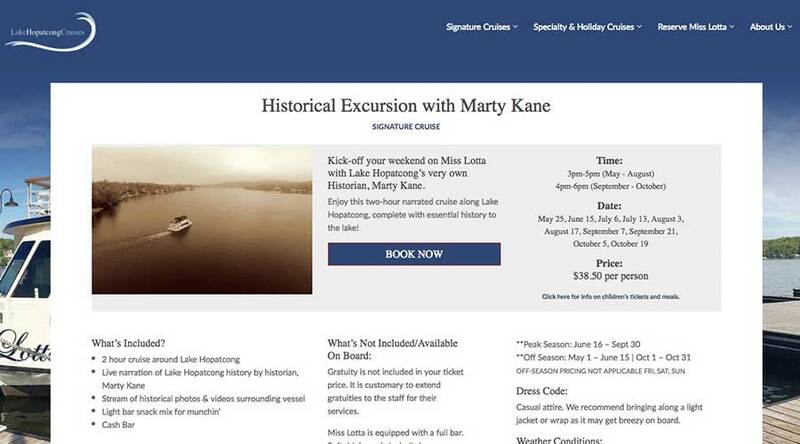 In the years since, they have become a mainstay on the lake—offering unique cruises on most days of the week through spring, summer and fall, as well as wedding packages and private excursions. 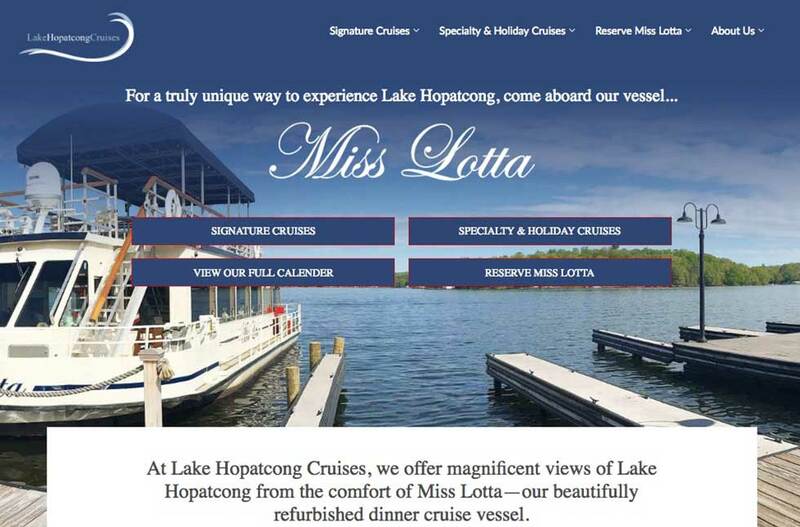 From Beer Yoga to the Murder Mystery Cruise, they continue to innovate every year with interesting Specialty and Holiday Cruises while offering their ever-popular Signature Cruises. 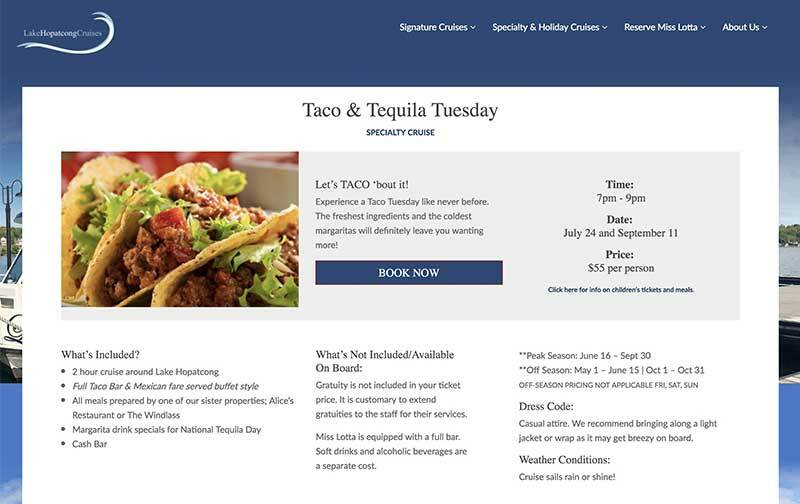 The look of the site was inspired by the existing logo—with sweeping curves and shades of blue—but we worked with the client to bring in contrasting red to draw the website visitor’s eye to buttons, links, etc. 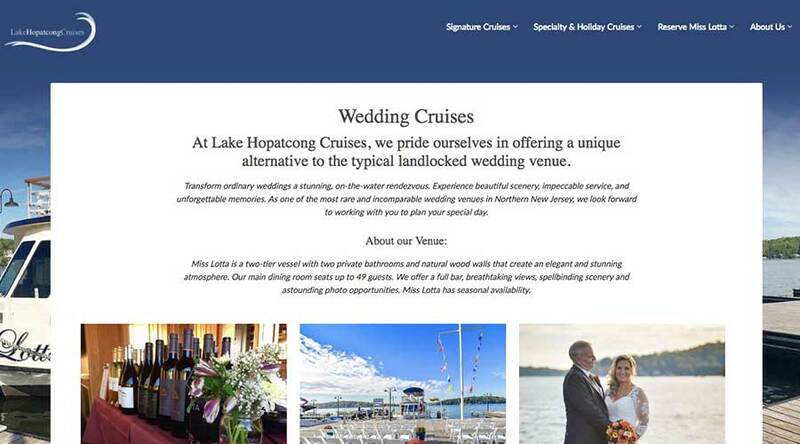 This site is all about beautiful photography, which is provided by the client. 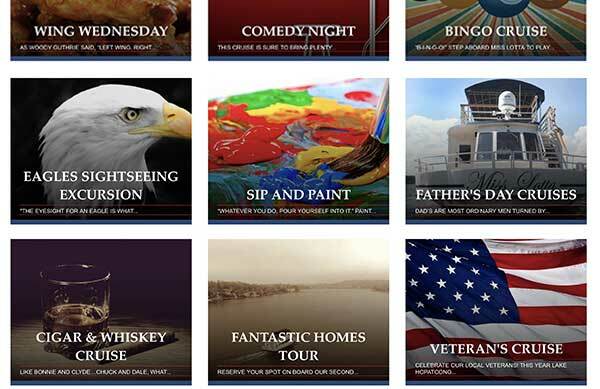 For Specialty and Holiday cruises, we also use a carefully curated library of stock photos. 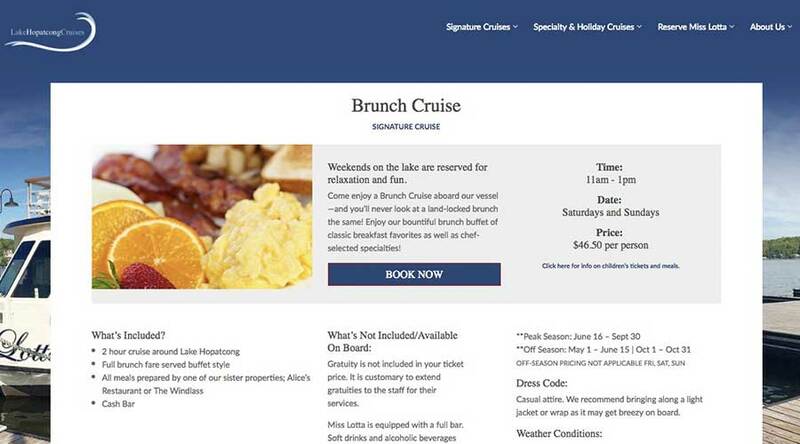 The main call to action for this site—booking a cruise—is made easy by integrating with a solid online booking platform and organizing the cruise information so that customers can find what they need in multiple ways. 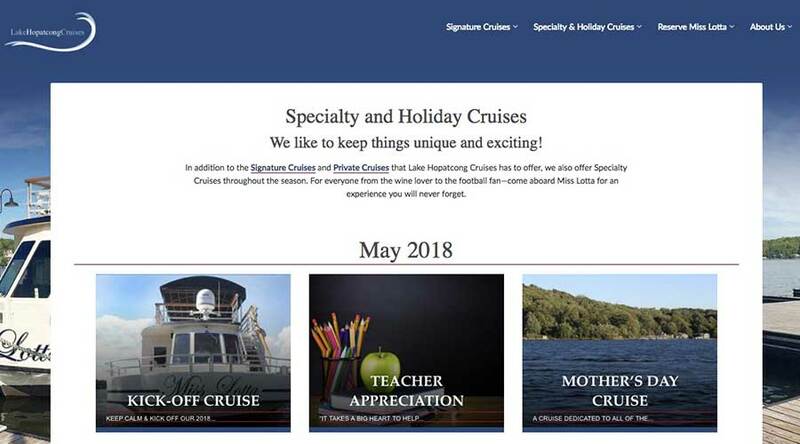 Each cruise has a dedicated page with everything a potential customer needs to see before booking: an image, a short description, pricing and dates, what’s included, etc.